BALTIMORE — WBFF — Governor Hogan attended and spoke at Helping Up Mission’s annual graduation ceremony, held at Martin’s West in Baltimore, on Sunday. Helping Up Mission provides faith based recovery services for men experiencing homelessness, poverty and addiction. The governor congratulated the more than 120 men who finished the year long spiritual recovery program. Governor Hogan said, “The spiritual recovery program graduates here today are proof that, even in the midst of our darkest days, there is always hope. Recently, HUM Board Member Dr. Mary Lashley was honored for her work partnering Towson University with HUM at an April 16 BTU Awards Dinner, featuring Towson University President Dr. Kim Schatzel. HUM Director of Programs, Tom Bond, shared about the value of the partnership. HUM staff Sarah Kerr joined Dr. Lashley at the BTU Partner Showcase on June 24 to share about the work connecting nursing students with other university staff and community members. Check out the Towson University story featuring the showcase https://www.towson.edu/news/2018/btushowcase.html and this video about the partnership https://youtu.be/-yRErv0jLUs. United Way of Central Maryland features Helping Up Mission on their website. BALTIMORE (WMAR) – Law firms in Maryland teamed up for Giving Tuesday to help people expunge their criminal records. Maryland Volunteer Lawyers Service and Venable, a Baltimore law firm, set out to help 40 clients expunge 250 criminal record convictions so they can have easier access to jobs, houses, and time with their children. Both firms worked with the Helping Up Mission, which aims to help people who are overcoming poverty, homelessness, and addiction. WESTMINSTER – Fifteen choirs will participate in the world premiere of “Rhapsody in Bluegrass” at Carnegie Hall in New York City Nov. 27. Only one has a Catholic connection: the adult choir from St. John Parish in Westminster. A coalition of young people is searching for 614,000 pledges of time, money or acts of kindness as part of a local #GivingTuesday campaign to secure one charitable action in honor of every Baltimore resident. The global fundraising movement has raised tens of millions of dollars locally and generated creative outpourings in Maryland since it was established in 2012, such as a dance crew posting step-by-step video tutorials on social media to raise money for after-school programs, a proceeds giveaway by a local coal-fired pizza shop and the adornment of the Edgar Allan Poe statue at the University of Baltimore in bright blue bows to broadcast every donation received. The goal of #GivingTuesday is to generate philanthropic contributions following the start of the holiday season after Black Friday, Small Business Saturday and Cyber Monday. Jeremy Rosendale is helping run the campaign — #WhatisyourpasHON — by the United Way of Central Maryland to round up enough commitments to represent each person who lives in the city. A dozen groups for young professionals are deploying their resources to find donors to give volunteer hours, money or other actions to whatever cause they are passionate about, whether it’s the United Way; Baltimore Animal Rescue and Care Shelter, known as BARCs; Moveable Feast, a meals program for people with life-threatening illnesses; or any other charitable group. People in Baltimore age 40 and younger are particularly drawn to hands-on volunteerism that produces results they can see, Rosendale said. The pledges made to the campaign can be carried out over the next year. More than $168 million was reportedly raised across the world on the last #GivingTuesday using telephone banks, email blitzes and Twitter campaigns. The totals have grown each year from the estimated $12 million raised in 2012. The concept was created by a New York City nonprofit, the 92nd Street Y, to counter the commercialism at the start of the holiday season. Among the efforts in Baltimore was the “Bmore Gives More” campaign in 2013 that raised more than $5 million, a total that is believed to have grown each year since. This year, the Franciscan Center will host Bank of America employees for a day of service. The workers will put together 1,000 bags of soap, toothpaste and other toiletries purchased by the bank for the men, women and children served by the center at 101 W. 23rd St. The kits — which offer personal hygiene items important for their clients’ dignity but can be too expensive for the city’s poorest residents — will be distributed throughout the holiday season. As part of the #GivingTuesday effort, the center is challenging the community to donate another $4,500 through its website to match the Bank of America gift to purchase supplies for another 1,000 kits that can be given out in January and February. Organizations across Maryland will also be participating in a variety of ways, including an expungement clinic that will be held by Maryland Volunteer Lawyers Service and Venable LLP for the clients of Helping Up Mission to scrub their public records of charges that block them from accessing jobs, housing and visitation with their children. The Associated’s website links to gifts at various prices, from $100 to “foster a diverse, respectful Jewish community” to $1,000 for “life-long Jewish learning and experiences.” The Open Society Institute’s Baltimore office is looking to raise $60,000 to pay for one of their future fellows. BALTIMORE, Md. (WMAR) – Homelessness is a problem that still impacts tens of thousands of veterans across the country. 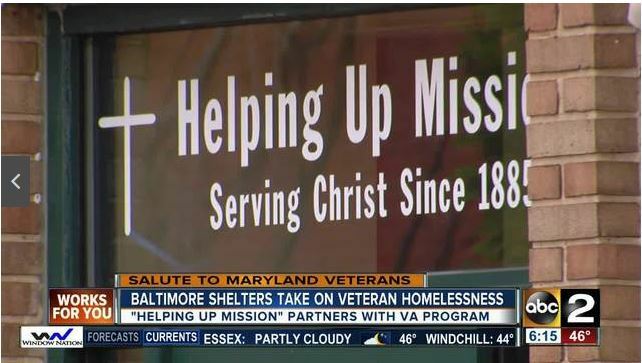 In Baltimore, traditional shelters are teaming with veteran organizations dedicated to helping those who have served. One of those shelters is the Helping Up Mission. “It gave me hope at a time when I was really hopeless,” says Kris Sharrar, a former airman and current Helping Up Director of Philanthropy. Sharrar says the transition from the Air Force to civilian life was a tough one. 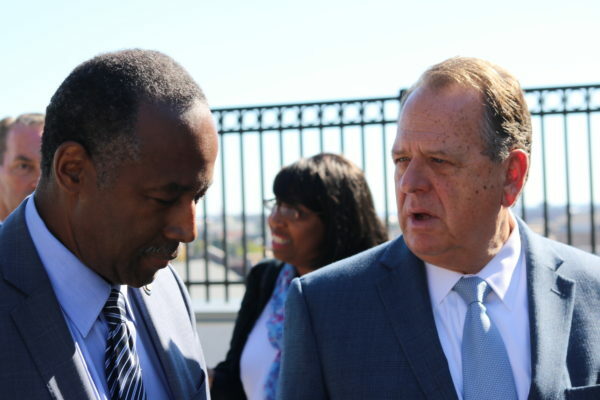 Dr. Ben Carson, the secretary of housing and urban development, toured a Baltimore addiction recovery treatment center Friday to amplify the Trump administration’s efforts to combat the nation’s opioid epidemic.